According to Savills' latest research report, the average price of small industrial land parcels in Melbourne’s eastern and south-eastern industrial precincts have risen by up to 19.6% and 17.6% respectively in the 12 months to June 2017. Savills Associate Director Research in Melbourne Monica Mondkar said further rises were anticipated as the site availability is not expected to improve significantly in near term, while demand has been rising significantly. “We expect supply to get further constrained as an increasing amount of industrial land gets consumed at the same time being rezoned for residential and commercial purposes driven by rising population and housing demand,” she said. The 2016 Census revealed Melbourne’s population increased from 3.33 million to 4.48 million, which has put pressure on availability of land with Melbourne’s urban development program. Melbourne’s urban development program showed a net 298 hectare of industrial zoned land was consumed in 2015-16, the highest on record since the global financial crisis. Of this, 78% was consumed within the State Significant Industrial Precincts (SSIP) - West SSIP, North SSIP and South East SSIP. Shortage of industrial zoned land resulted in consumption of only 11 hectares in the eastern region, while the total southern sub region accounted for 128 hectares, of which 78 hectares was within the South SSIP. 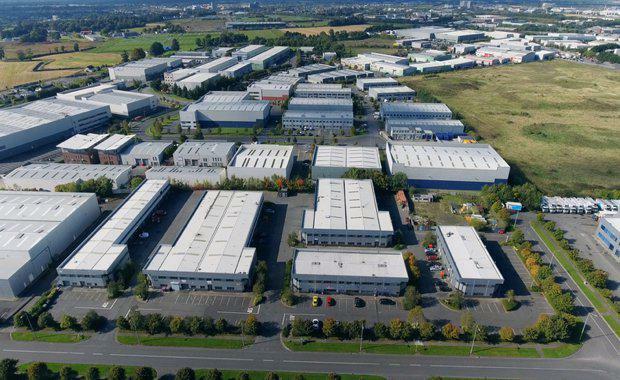 “Industrial market in Melbourne saw the addition of 552,447 square metres (above 5,000 square metre size cohort) of new industrial stock built over 2016, a record for five year period. An estimated supply of 751,960 square metres of industrial space is scheduled for completion by end of 2017," Ms Mondkar said. "However, 66 per cent of this supply is yet to commence construction. 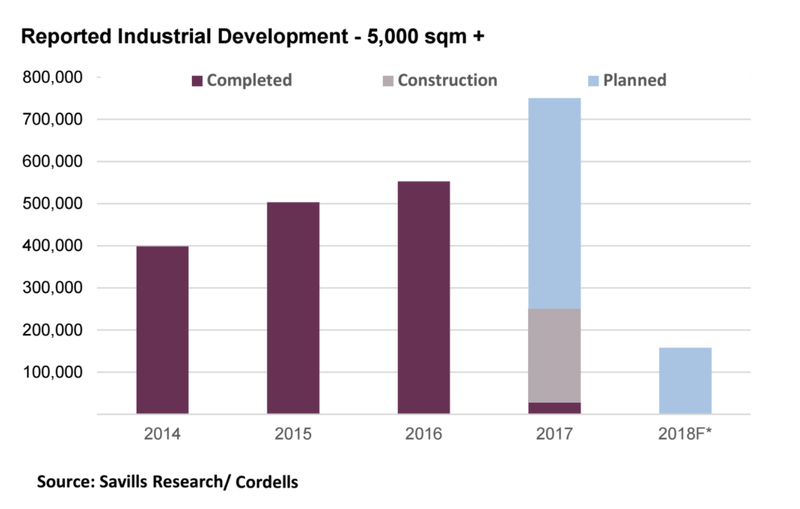 We expect a vast majority of this will be proceeding commencement subject to pre-leasing or as purpose built space for tenants and owner-occupiers." Strong development activity at the same time with limited serviced site options and low interest rates have driven a surge in land values, especially in some key pockets of south east & eastern regions. Savills Industrial Director David Kalb said the most dramatic rise in the past year had been the 19.6 per cent increase in land values for the east. Land which was selling in June 2016 for $255 a square metre was averaged at about $305 driven by strong development activity. “However the eastern precinct is currently facing a rapidly dwindling land supply with most competition from residential developments. Industrial developers especially for strata units and owner-occupiers alike to put their foot on an eastern allotment could pay up to $425 a square metre should an opportunity be presented in the fast diminishing land supply market. "With delivery of key subdivisions a little way off we are likely to see that upward pressure on values remain in medium term especially with the strong push from occupiers wanting to get into the market,’’ Kalb said. The South SSIP has the most shortage of vacant land supply and has the second highest rate of consumption amongst all the SSIPs. Unlike other state significant industrial precincts, there is no proposed industrial land being added in near future and the Department of Environment, Land, Water and Planning has revealed that land supply in this precinct will become constrained in the mid - 2020s. The North-East Link project, which would connect industrial operators in the east and southeast to the Melbourne Airport in north without going through the city, is expected to further augment the demand of Melbourne’s east and South East regions as Australia’s key industrial markets.